Doc Holliday’s Trail and Annie’s Tree – a story of darkness and light. At 6,000 feet above sea level I am gasping for air. I am also, as my father used to say, “getting old and soft.” Now I’m only two-hundred feet up in my relatively easy three-hundred-foot climb on the Doc Holliday Trail to Glenwood Springs’ historic Pioneer Cemetery. 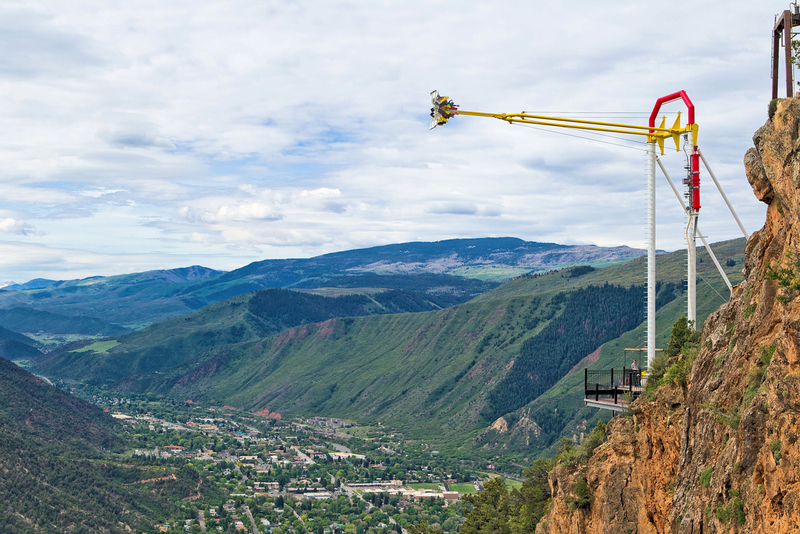 It sits on a lower ridge-bump of 8,095-foot-high Lookout Mountain that stands above and the Colorado city of around ten-thousand people. My flatlander-endurance is poor in the thin air as I trudge onward. The view is refreshing as I pause to take in the scope of the city below… okay… I stop to get my breath. But, I gotta keep going, The Beckster is getting ahead of me on our upward trek to see the West’s version of outlaw/lawman, John Henry “Doc” Holliday’s grave site. He was born in 1851 in Griffin, Georgia but died in Glenwood Springs, Colorado. But where is he now? Looking across the city of Glenwood Springs from the Doc Holliday Trail. What awaits us at the end of short journey is a controversy, but I want to see it. Even though I am huffing and puffing I continue, The Beckster is tough, so must I be. The view to the right is beautiful as I stop again to choke down a bit of thin air. Clouds hang below the surrounding peaks as the occasional drop of rain pops onto my face. The smell of sage and pine and moist air waft past at intervals as we walk the hard-packed, red-dirt and narrow rocky road. A couple of walkers pass on the trail. I assume they are local… don’t know. Maybe they’re tourists too. Locals often walk here. Ahead is the evidence. On a gnarled pinon pine hugging the upper bank of the cut, hundreds of colorful streamers twist and bob on the light breeze. On the way down the hill, a walker passes Annie’s Wishing Tree, a prominent landmark in Glenwood Springs that is becoming famous around the world. She started putting ribbons on the tree, using them to represent her own wishes, dreams and prayers in her fight against cancer. After participating in a successful, non-traditional treatment program at Northwestern University in Chicago, she traveled to cancer centers in the USA to share her success story with university hospital students. Collecting ribbons from young patients at those hospitals she brought them home and tied them to the tree. “It was just pretty much my ribbons from my heart being put on it,” she says, “And then I realized that I needed to spread this happiness…” She started taking bags of ribbons to the children’s hospital where she volunteered each month. The kids would write their own wishes, dreams and prayers for her to take back to the tree and tie for them. She would then take photos and show them to the kids. Their words were on display for the world to see. The project grew. Annie’s Wishing Tree is a landmark along the trail to the Pioneer Cemetery. Ribbons were added by unknown hikers after Annie created the Wishing Tree. I came to the hill looking for the story of death, of disease and of legend. Now I’ve arrived to unexpectedly find a story of life, of adversity and of hope. In my mind I am attempting to blend the two narratives into one. Annie is my daughter’s age. Her story strikes a father’s heart. The record of the tree is strikingly symbolic to the history and name of the route, The Doc Holliday Trail. It’s antithetical to Annie’s story. Holliday is said to have traveled to Glenwood Springs for the purported healing benefits in the springs of the area. His sickness was then called consumption, now we know it as tuberculosis. It was the reason he left his home and dental practice in Atlanta to start wandering the west in hope of a climate that would help or cure him. His travels between Georgia and Colorado would be captured in legend; card games, gun fights, the OK Corral with Wyatt Earp, his death in a hotel room in Glenwood Springs. The current marker replaced an earlier stone placed in the 1950s that had incorrect information. Cards, whisky and tokens are often found at the site, left by admirers. After a life of hell raising, gambling and fighting he would not “die with his boots on.” They say his last words, while looking at his bare feet, would describe the irony in dying in bed at the age of 36 years, “Now, that’s funny.” He was destined to die a more gentlemanly death, shoeless, and in bed in 1887. 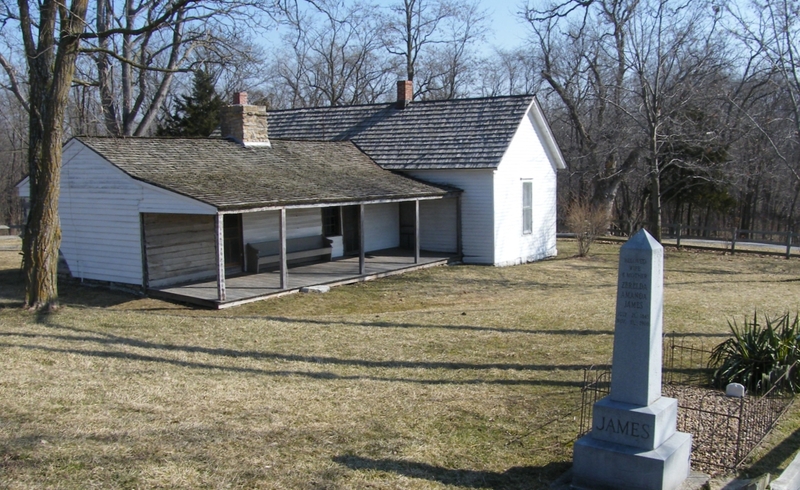 His burial in the Pioneer Cemetery on top of the ridge is a matter of opinion. Others say he was interred in the Oak Hill Cemetery in Griffin, Georgia after his father had him shipped home to a family plot. In any event he left plenty of legend for both. Holliday’s memorial stands at the overlook point of the cemetery. ground. The area is a carpet of rocky, iron-red dirt, highlighted with short pinyon pines, cedars, sage brush and white marker stones. A smattering of lawn covers a central square of memorials and graves suggesting families still visit and care for those interred here. If the cemetery were a ship, Doc’s grave would be the wheelhouse at the point of the ridge with the balance of the site stepping up the slope toward the top of Lookout Mountain. Up the hill from Holliday’s marker is the pauper’s section of the cemetery where Kid Curry’s stone is found. If he is really there is disputed. and was buried there. Others say he was traveling through Glenwood Springs, became ill and died. Either way, he died… somewhere in Colorado. And, now there’s a marker for him in the paupers’ section of Pioneer Cemetery. Time passes quickly as we survey the grounds. The sky is looking more threatening. I am tired and still slightly out of breath, it’s starting to rain. The view is exemplary and the rain isn’t hard, but it’s time to go. We need to say goodbye to Doc. Local ghost stories tell how folks leaving whiskey or cards or tokens for Doc receive a “Thank you,” as they stand and listen quietly. I have no whiskey, nor do I have a deck of cards nor trinkets. Perhaps a compliment will work. Harvey “Kid Curry” Logan, part of Butch Cassidy’s gang, has a marker in the paupers section of the cemetery. I listen quietly as rain drops increase… nothing… not a peep. She stares at me in mock disgust and turns to the trail to walk back down. She has a knack for ignoring my jokes. “But he really did have a great moustache,” I affirm, following her along the path. She pays no attention to my explanation and continues on. The lady has class. Looking down on the neighborhood rooftops I imagine driving a horse-drawn hearse up this route. It would be a tight squeeze, but possible. Was this the main route back in the day? I don’t know but I do know that another route from Cemetery Creek and our start point is driveable by car, complete with parking spaces… but it’s blocked by a gate. And, this walk is good, we need the exercise… no… really. An carved stone plaque describes the residents of the necropolis including multi-racial immigrants and freed slaves. We pass Annie’s Wish Tree again. A long, magenta streamer catches my attention. It reads, “1 Year Cancer Free * Annie 4/18/14 – 4/18/15.” The young lady is an inspiration. Now she is planning a volunteer trip to to impoverished areas in Africa to help children in Tanzania. When she comes home she will carry more ribbons that will blow in the mountain breezes – waving and asserting hope – 130 feet directly down the slope from Doc’s marker. Doc Holliday’s Trail and Annie’s Tree are a story of darkness and light. I’m glad I did… stumbled here. For me, I think of my daughters and grandchildren and pray that they will have a measure of Annie’s determination and drive. Doc Holliday’s story is dark and deadly. Annie’s story shines with hope. 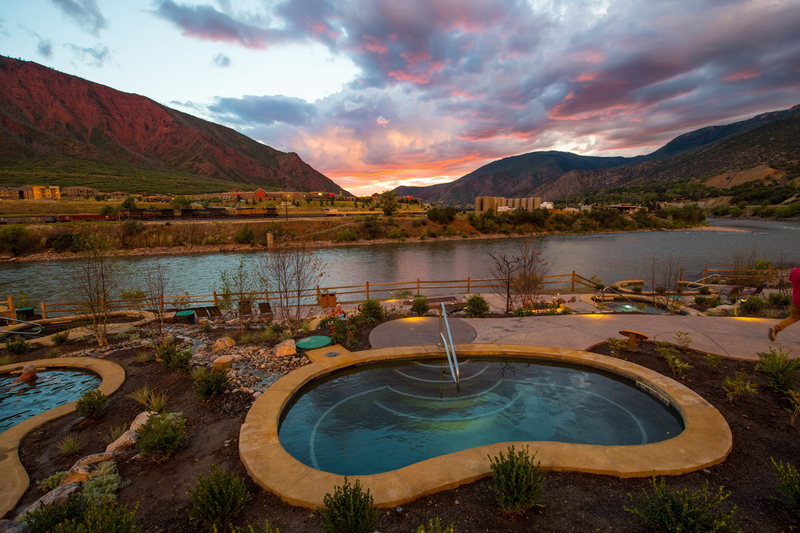 Here are other things to do and study in Glenwood Springs. Nope… nope… well, maybe. 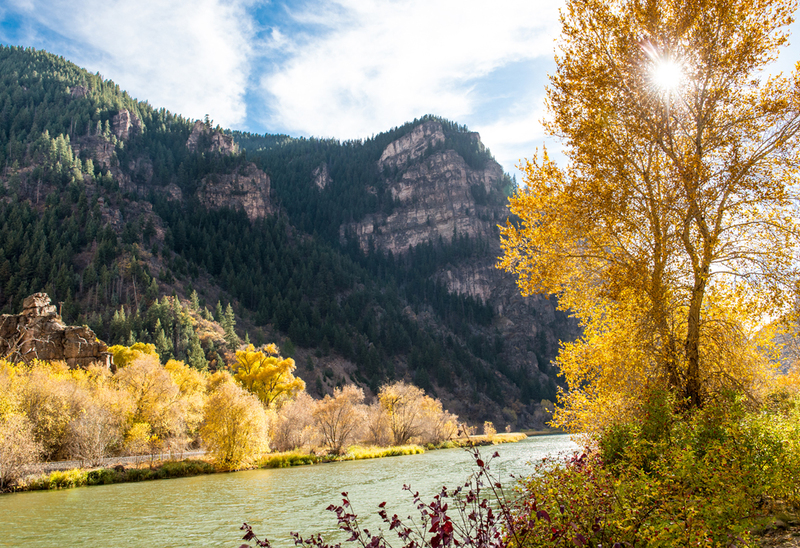 The Glenwood Swing slings you out over 1300 feet of air space above the Colorado River. 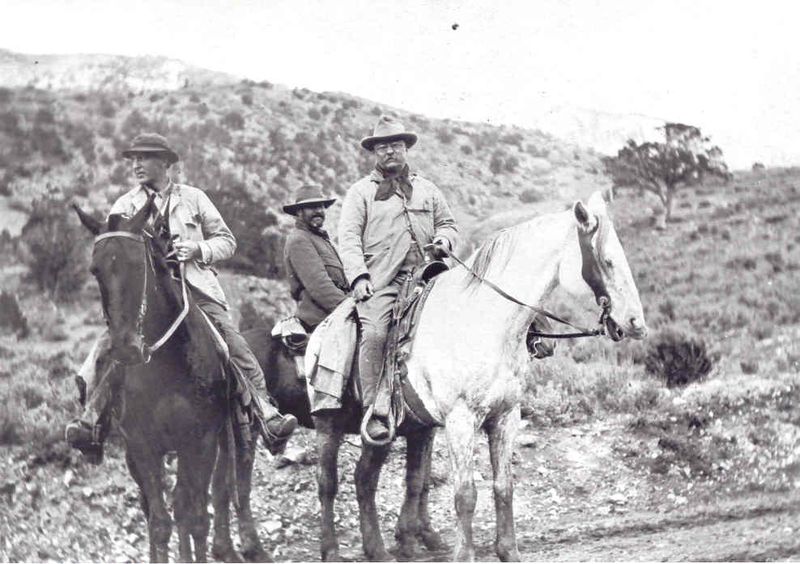 In 1905 President Theodore Roosevelt stayed at the Colorado Hotel in Glenwood Springs while on a three-week hunting trip. Legend says the teddy bear was born from on of his hunts here. 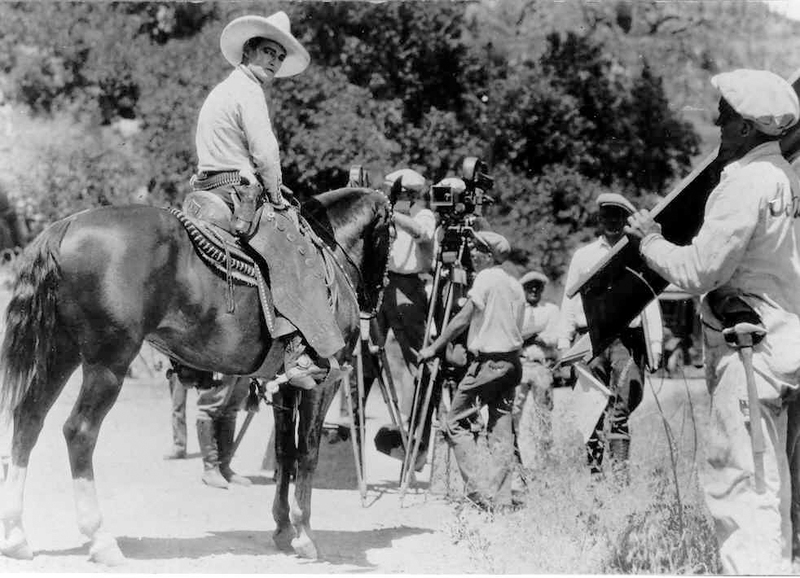 Actor Tom Mix starred in movies filmed in and around Glenwood Spings. 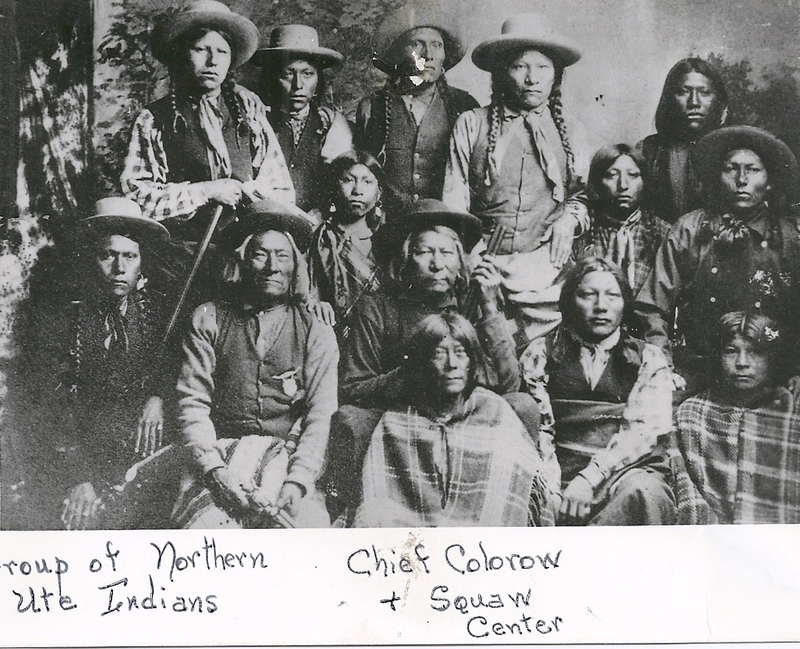 Ute Chief Colorow and some of his people. One of the many hot pools in Glennwood Springs. The Unsinkable Molly Brown has a connection to Glenwood Springs, having visited the Hotel Colorado. 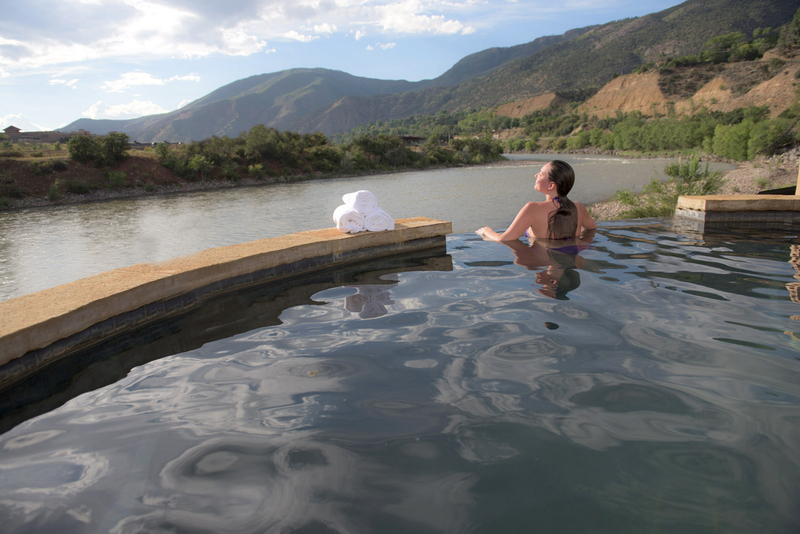 Iron Mountain Hot Springs is renowned for its resort and spa. 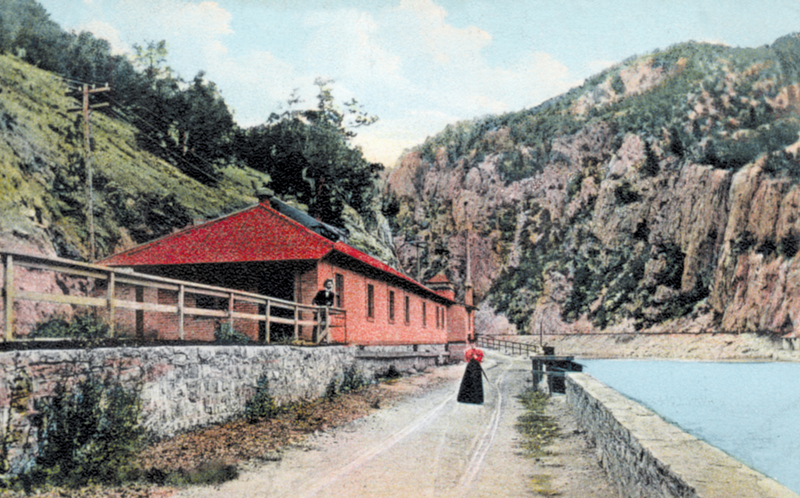 A postcard featuring the Yampah Spa and Vapor Center c1900. 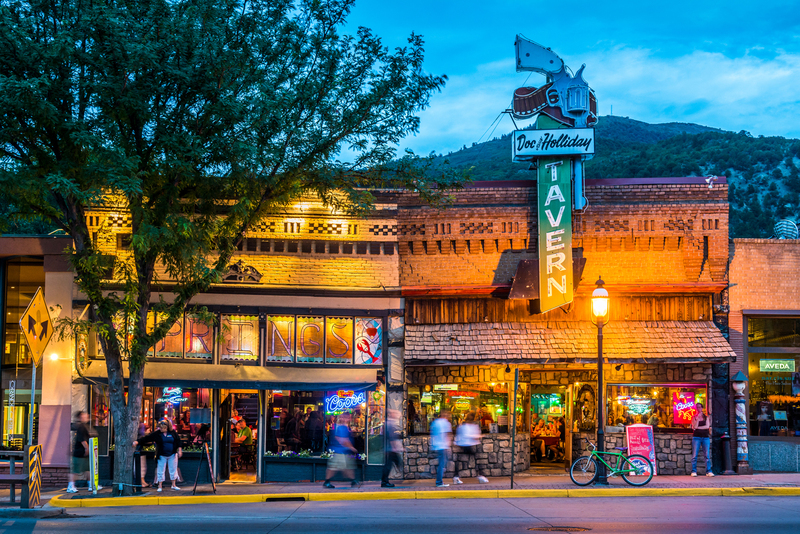 The Doc Holliday Tavern is a tourist draw in its own right and is a must-see when in town. Please click the Follow button (below right) for updates on Southeastern Bound. 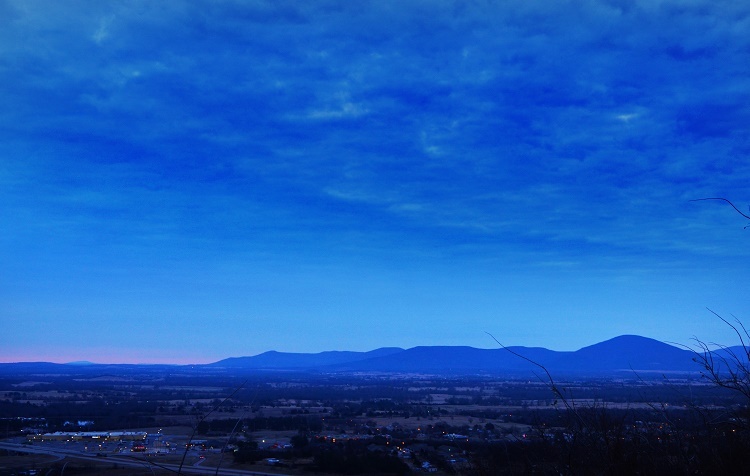 A predawn photo of Eastern Oklahoma. The cone-shaped hill to the right is Sugarloaf where my paternal grandfather was born. Oklahoma was wild back then filled with rock-hard and tough people. The hill by my grandfather’s house was a world unto itself, without a tear or care or worry. Eastern Oklahoma was a place where the dreams of small boys lived… where they played… where everything came together for a young American’s life. It was not a place for sorrow back then, or so I remember it. It was beyond life. The grass on the hill was lush and green, where summer flowers bloomed and was always just the right height for running through and diving into and wallowing about, all in blissful laughter… chiggers and tics be damned. The watermelon fields were down below the barn beside a bend in the road. And it seemed that each time we visited was just the right time for the melons to be picked and cut open and eaten and the seeds spat to see who was champion. I was champion once though I was the smallest of the lot. While sitting on the fence beside the barn I spat one large black seed, oh… twenty feet or more. It jetted half-way to the horseshoe pit where my uncles Clyde and Paul were pitching. Those times were fun. The girls didn’t like it, but seed spitting was part of the ritual. Seeing their twisted, contorted faces was worth the occasional, slobbery drool. What seemed to be huge house back then was a simple four-room country home that sat in another bend of the road. Before my teens the bathroom stood a thirty-yard dash away on cold winter nights. The road out front door was half way, either way, to the left or to the right, half way to town, five miles distant. To the left you wade through Mountain Creek, through Kennedy and back across again, then on to 133 and turn left then you’re there. If you went to the right from the house the lane wound past the Midgley’s farm, then past Uncle Clyde’s. From there to town was an endless string of relatives, J.C. Donaho, L.T. Johnson, cousin Dural at Morgan hill. Then it was straight to town… unless of course you decided to cut past the Chapel, the small church building a short jog off of the main road. There the grounds are dotted with mounds and stones and crosses of family gone before, all related, all remembered and always illustrated and described by the elders in the family. When old enough I rode a young bay mare those long, quiet, interesting miles to town. There I stopped at the Dairy Queen where my cousin worked the window. I still see it. A quick hello, a few minutes gazing into her captivating brown, Cherokee eyes… damn! She had to be my cousin. First cousin at that. Second cousins maybe, third would be okay, but this beautiful lady was way to close, that and ten years my senior. “Sometime life’s not fair,” I thought. Later she married a fellow from the next town south. So, I continue on. A gulped-down malt, back in the saddle then back on the road. The bay canters along the road, rocking-horse smooth, wind gently flows over my face and through my hair. Time and place have no meaning. I am here and all time is here. There is no other place. I am moving down the same route that had been traveled by my family generations before – along the hoof-marks made by the mounts of my grandfathers and my uncles and my cousins. Back to the days of the outlaws, of Jesse James, the Youngers and Belle Starr. Their lives cross those in my family along with lawmen Heck Thomas, Bill Tilghman and Chris Madsen. Their times were tough. So were the people. Rough-edged would be a descriptor. Life is good and easy today. My grandfather’s wagon traveled this route many times over the years. When I was small; what wonderful times we enjoyed. Drawn by two horses we would ride over the hill and down to town for supplies. The carriage was made of rough-hewn wood and rolled on rubber tires changed-out during the depression when wood-spokes were scarce and even more expensive. Along the washboard road we bounced and jostled over pot-holes and pock-marks cut by the fast, modern, in-a-hurry vehicles. Their tires spinning on the gravel course, bounding, vibrating and digging the lane, turning the surface into a tooth-rattling, bone shaking, corduroy of rocky roadbed. We, at a slower pace, picked our route along the springless journey, holding tight to the sideboards, waiting for the next bump to launch us above the plank-lumber bed. The bobbing heads must have been a strange sight to those passers-by in the sleek-finned automobiles that zipped past with a wake of dust and grit. But we loved the wagon. We loved the driver. We loved the land that we crossed. And the mound, the hill… The hill had a life and being of its own. It was a magical thing – like no other entity or place. To a child it was where castles formed in a stand of trees and mountains from the clouds. Where good guys and bad guys gunned it out for the sake of the fearful townsfolk. It was where dragons were fought and conquered, sometimes twice a day, sometimes three… and it was where an old white mare carried three knights at a time again and again from campaign to campaign… only to avoid our every command at feeding time, unless, of course, we too wanted to wander back to the barn. But mostly I suppose, it was the people of the hill. The bond of love. The binding of family, of friends, of caring. It’s a good memory. From time to time it bubbles up from the past and grows a grin on aged lips and shines a light on a life-battered soul. Memories are good. That’s what youth is for – making good memories. Those memories are good. I think back to the hill and I smile. The people are all gone now. The house is too. Only the hill remains. Those memories are good to review – good for lifting the heart. Now days I think of it often. And, it’s very, very good. 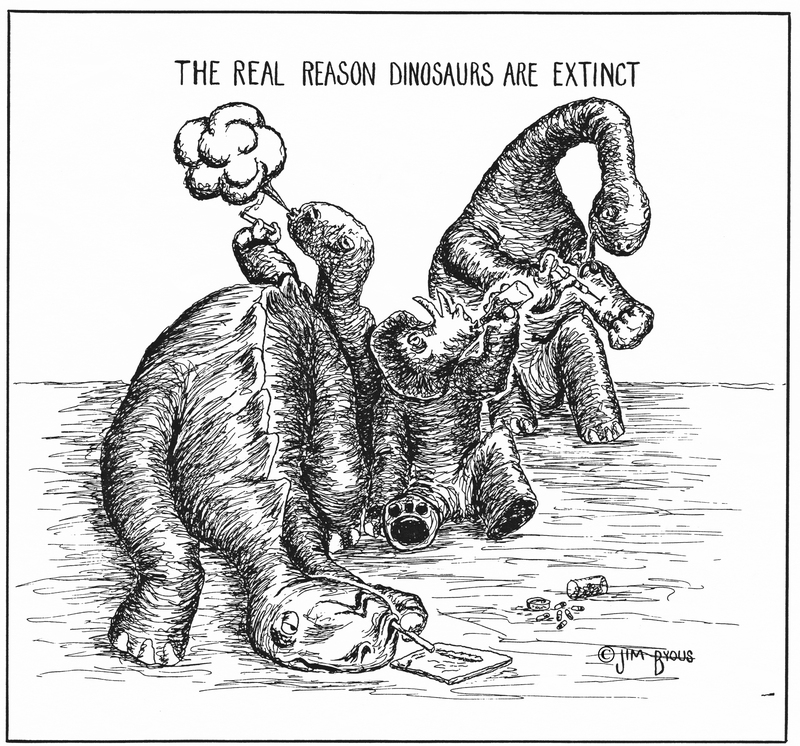 While going through old clips from the 1980s I came across a couple of editorial cartoons from my newspaper years. The first was a comment on the drug culture of the era… This brings into mind the old saying that the more things change the more they say the same. 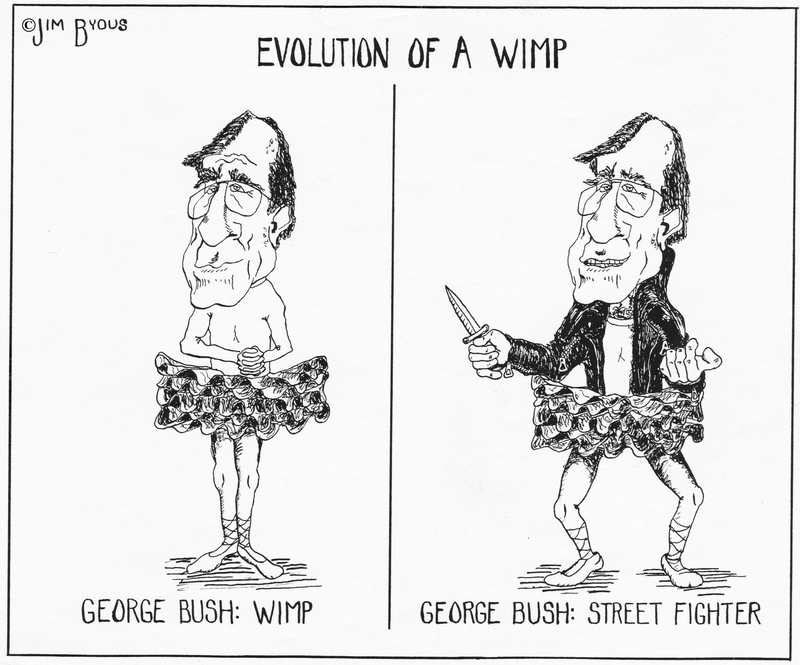 The second was an editorial cartoon that almost got me fired… George Bush (the first) was running for president and was accused of being a “wimp” by opponents. Being from old-school journalism training, I tried to stay neutral and made fun of both sides. During the campaign Bush combated the label of being soft in foreign policy. The Democrat tag stuck to him right up to the election… that he won. This ran in the Merced Sun Star, a Central California newspaper. The General Manager was a staunch Republican. My editorial cartoon rights were revoked for a couple of months. I am not proud of this gritty chip of stone. Nor am I ashamed of it. It was, oddly enough, part of an inheritance from my father. Tucked away in a dresser drawer it had been one of his possessions – a souvenir – that he took from a gravestone in Missouri when I was young. A small symbolic sliver of stone from the headstone of outlaw Jesse James. It is a fragment cracked and split from the headstone of outlaw, Jesse James. Taking a chip of that stone was the norm at that time in history… Hell, everybody did it. Few complained. And, this small chunk, a fragment of the lower section, was from the second headstone to mark the site. The rest of the monument had been flaked away by hundreds or even thousands of earlier visitors who had grabbed a rock and splintered off their own piece of notoriety. The first stone was and is preserved in a museum display after years of chipping history-seekers. We as Americas… as tourists… have changed. We understand the need to preserve history – take a picture, leave the artifact… the old National Park slogan, “Take nothing but pictures. Leave nothing but footprints.” But, to look back at those who came before us and judging their actions must be weighed with the social and cultural norms of the day. Our generation and their generation differ in thought, in ideology and in actions. Beyond obvious abhorrent and evil actions in history we cannot effectively judge previous generations. Bias of the present obscures seeing the reasoning of the past, the old Monday morning quarterback syndrome. We can say they were wrong and we should strive to do better. But to judge in hind-sight is akin to being a referee in a sports event in which we have never played. Getting into the heads of past or future generations is a difficult if not impossible undertaking. People don’t think the same between cultures, they really don’t think the same in differing centuries. Two hundred years from now we will be judged on things we now find sacred. What will they think of us? What are we doing wrong in their future eyes? Understanding the mindset of serfs of medieval Europe and their acceptance of social station is a concept that is foreign to most Americans and people of free societies. People tend to conform to the norms of the day. They adapt. They survive. They tend to settle for what they think is expected of them and get on with living. That mindset is still prevalent in many cultures. Singer Ricky Skaggs sang it in his song about don’t-get-above-your-raisin mentality. 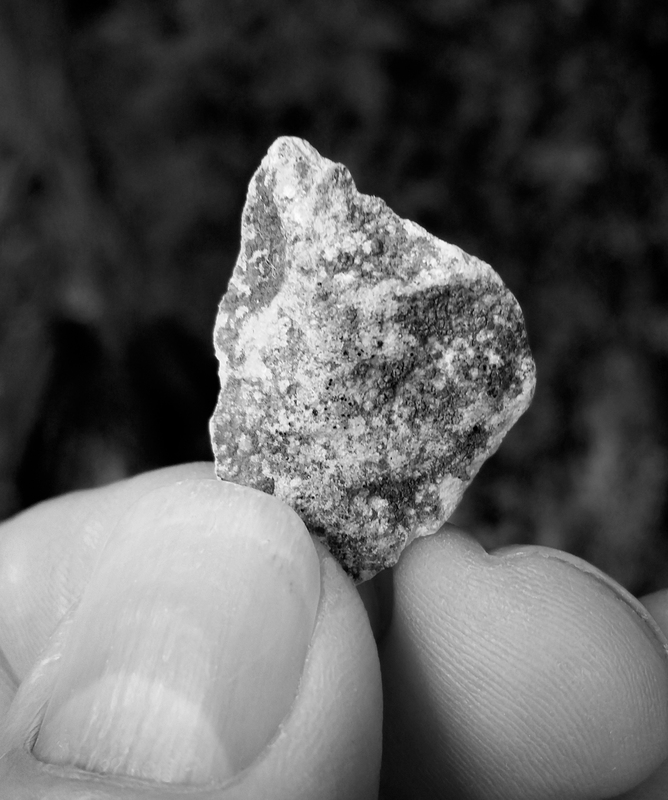 So, this simple sliver or limestone is more than a snatched souvenir. It’s an artifact, a symbol of changing cultures, differing ways of thinking and views on life from generation to generation. Anybody want to buy a rock? It has a great story… and, the statute of limitations has run out. To subscribe please click the “follow” tab at bottom right.